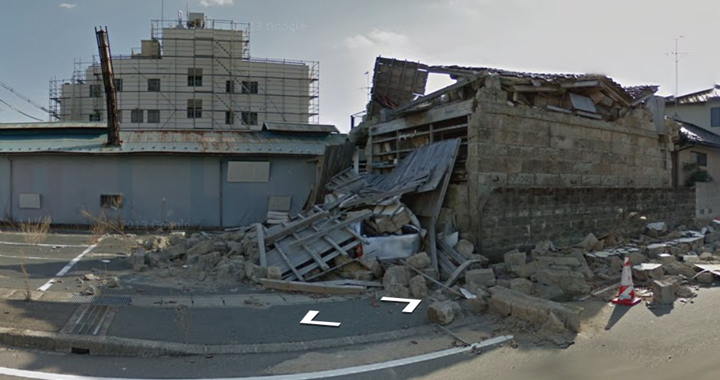 Recently, the access-restricted prefecture of Fukushima which was ravaged by the 2011 earthquake and resulting tsunami invited Google Streetview to document the area. Take a walk through the town of Namie-machi, by eerie school playgrounds, collapsed homes and through vast fields swept clean by the violent waves. The project will also become part of Google's Memories for the Future site which will preserve before and after images for future generations. And here, a view of the Ukrainian town of Pripyat, similarly devastated by the 1986 Chernobyl disaster by Russia's answer to Google—Яндекс. Walk through Pripyat's snowy streets 25 years after the nuclear disaster, while a small Facebook group demands an official visit by Google.